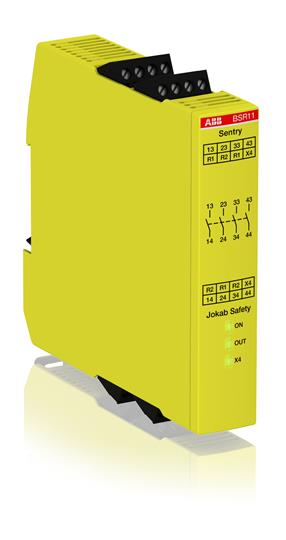 SSR10M is a safety relay with relay outputs, 3 NO + 1 NC, and a 85-265 VAC (50/60 Hz)/120-375 VDC supply voltage. SSR10M is used with safety devices with 2 channels contacts. The reset function, automatic or manual, is set with a switch on the front.